Eagles head coach Doug Pederson has decided to promote wide receivers coach Mike Groh to offensive coordinator, a source tells ESPN. Pederson interviewed both Groh and running backs coach Duce Staley for the post on Monday, and has decided to go with Groh. Staley will remain the team's running backs coach. Press Taylor, who served as the Eagles' assistant quarterbacks/offensive quality control coach last season, is being elevated to quarterbacks coach to replace John DeFilippo, now offensive coordinator for the Minnesota Vikings. 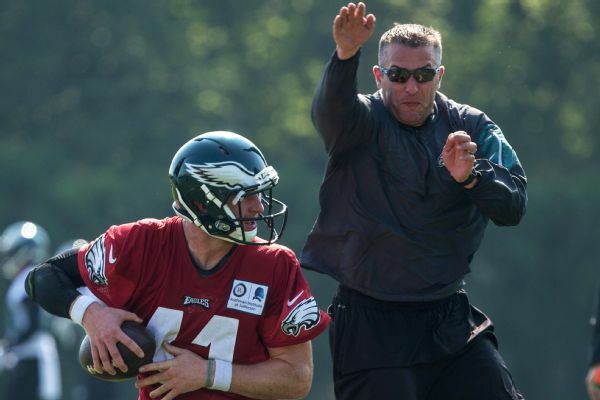 John DeFilippo, who helped develop Carson Wentz and Super Bowl MVP Nick Foles as quarterbacks coach with the Eagles, is the new offensive coordinator for the Vikings. Pederson was considering keeping the offensive coordinator position open after Frank Reich left to become head coach of the Colts, but ultimately decided on having an OC, believing it best to have someone in that position given all of his day-to-day responsibilities. Pederson calls the plays for the Super Bowl champion Eagles. Groh, 46, joined the Eagles this past offseason and gained immediate command of the wide receivers room. Alshon Jeffery (12 total touchdowns) responded to him, as he did in Chicago, but Groh's work with Nelson Agholor was the most noticeable. Agholor went from a bubble player to a formidable slot receiver, scoring eight touchdowns in the regular season. Highlights from Super Bowl LII and Eagles' parade. Jamie Apody reports during Action News at 6 p.m. on February 9, 2018. 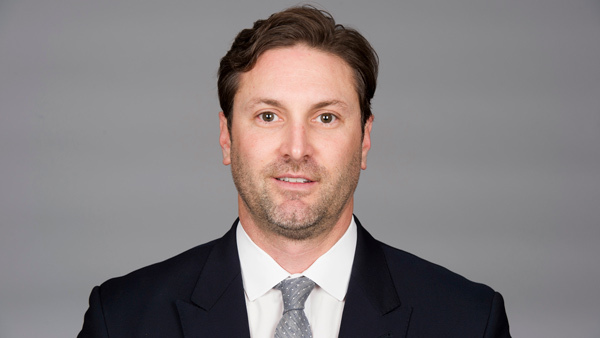 Before coming to Philadelphia, Groh served as the passing game coordinator/wide receivers coach for the Los Angeles Rams in 2016. The son of former New York Jets head coach Al Groh, he got his start on his dad's staff as the Jets' offensive assisitant/quality control coach in 2000. He went on to coach at the University of Virginia, his alma mater, for eight seasons, elevating to the position of offensive coordinator. Groh had stops in Alabama and Louisville as well before coaching Jeffery and the Chicago Bears wide receivers from 2013-15.